A 71-year-old woman has died in a house fire in Nottinghamshire, the fire service said. 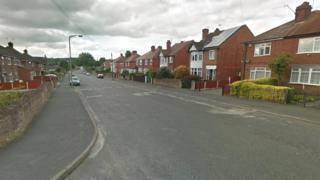 Emergency services were called to Rock Street, in Bulwell, just before 19:00 BST on Saturday. Nottinghamshire Fire and Rescue Service said an investigation into the cause of the fire was under way. The service tweeted crews would be in the area over the next few days to "offer reassurance and support" to the community.